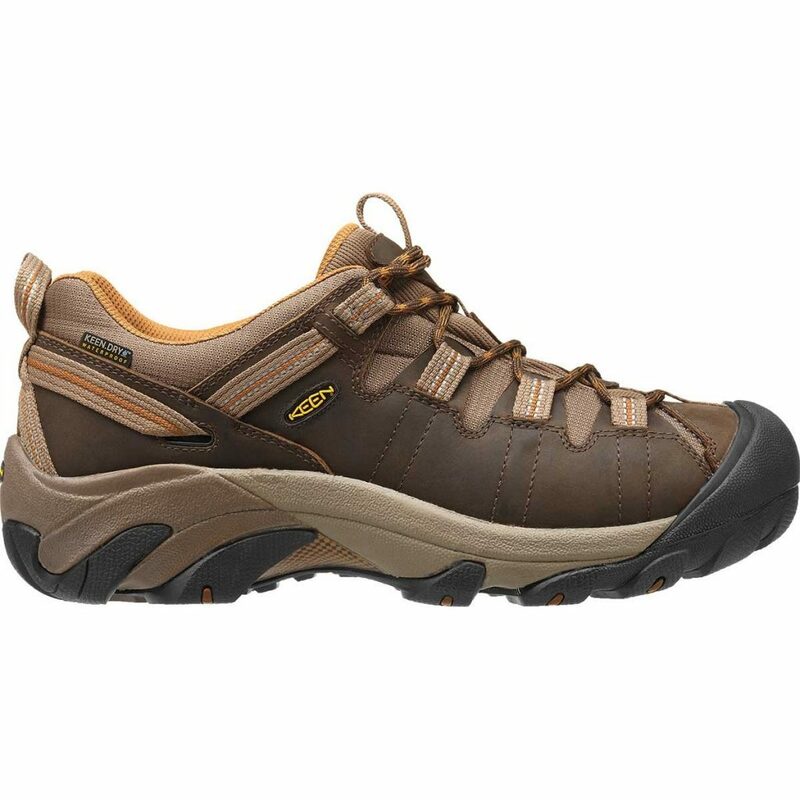 In searching for my perfect hiking shoe, the Keen Targhee was one choice that kept appearing time and time again with rave reviews on the web. In the end this wasn’t the shoe that I decided to go with as my ‘Shoe of Choice ‘ (see the review of the Salomon XA Pro 3D) but only because it didn’t suit my individual foot shape. The Keen Targhee II is a great shoe and sits firmly in the hiking shoe category rather than the trail running category. They have built-in ruggedness that would fool you into thinking that you are wearing a boot and there is a mid cut boot version for those who want that extra protection and stability. Having said that this ruggedness comes with increased weight although this shoe is still much lighter than traditional boots. Size wise they are generous as I usually take a 14 US in most other brands but in these I am a size 13. The toe box is broad allowing plenty of room to spread and provided good protection if you manage to kick and hard objects. Shoe selection is a personal choice based on foot size and shape as well as arch height amongst other criteria. While I have large feet, my foot width is average and as such I find that the Targhee II is too spacious for my foot construction. It took a 42 km (26 mile) day hike to work out what the issue was and I realised that with the extra space in the shoe, I was gripping the insole with my toes and this meant I had overly sore feet at the end of the day compared to other hikes of this length I have done. My Superfeet insoles took some of this additional space up but there was still plenty to spare. The soles of the shoes are robust and the tread pattern grips well to either wet or dry surfaces and provides good protection from sharp rocks. The durability is good, but not great, and given the style of hiking I do, I would expect to get at least 500 km (310 miles) if not more out of them. The lacing system is pretty standard and to a certain degree it will allow you to reduce some, but not all of the excess width for those with slightly narrower feet. I wear very thin socks for most of the year and for those who wear thick socks, this may not be an issue. The colour choice is limited on these shoes to grays and tans and very often stores will limit what they carry. This limited colour choice suits most people so I guess from that aspect, it’s not really an issue. Shoe sizing in Australia goes up to about size 15 but sizes up to size 17 are available from the US so this is one of a limited choice of shoes for those of us with very large feet. A word of warning here though; they are available from overseas often at a very cheap price but pay close attention to the freight cost otherwise you may end up paying more for them than in your local store. Overall a very good choice for those of you with broad, feet and or long feet.